President of Ukraine Petro Poroshenko signed Decree No. 351/2017 on the establishment of military civil administration in the villages of Shirokino and Berdyanskoye in the Volnovakha district of the Donetsk region. The corresponding document is published on the official website of the head of state on October 3. “In pursuance of the Law of Ukraine "On Civil-Military Administrations", I resolve to form civil-military administration of villages of Shirokino and Berdyanskoye of Volnovakhsky district of Donetsk region. In accordance with the Law of Ukraine "On Civil-Military Administrations", Head of the Anti-Terrorist Center under the Security Service of Ukraine, the Chairman of the Donetsk Regional State Administration is to implement measures related to the creation of the military civil administration specified in Article 1 of this decree,” the document says. The decree enters into force from the date of its publication. Since 2016 the militants have made several attempts to occupy the "gray zone" near Shirokino. 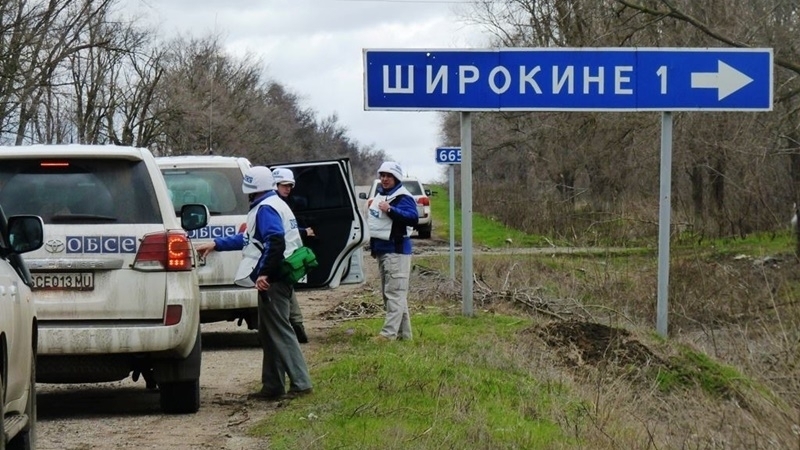 Earlier, QHA reported that militants of the so-called "DPR" do not allow the OSCE SMM patrols to the occupied areas of the Donetsk region east of Shirokino near the uncontrolled section of the Ukrainian-Russian border.